Sometimes love is as simple and sweet as a heart fluttering beneath blue skies and sparkling stars. Or at least that is how being in love feels -right?! I tried to capture that feeling in the design of this bead zipper pull charm. 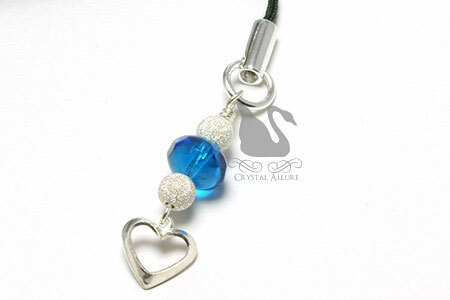 Open your heart to this lovely heart charm pull. Design features a sterling silver open heart charm, faceted vibrant blue glass bead and stardust Pave' style sterling silver beads. Total length is 3-1/4". Everyone has cell phones these days and what makes this little Valentine's Gift so fabulous is you can easily attach the bead charm to jeans, sneakers, MP3 players, iPods and even use as a purse charm! Although this next zipper pull charm doesn't necessarily have anything to do with hearts and love, it was too beautiful not to share! It also complements the Teal Crystal Swirl Lampwork Beaded Earrings (EL248). A zipper pull or purse charm for the beach lover! 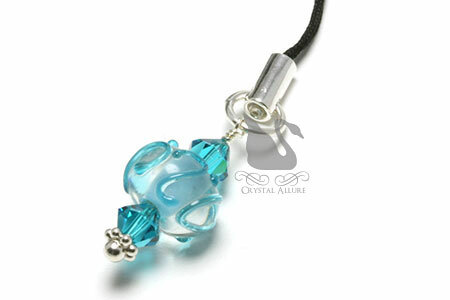 Design features a blue swirled artisan Lampwork glass bead, blue zircon Swarovski Crystal and sterling silver. Total length is 3". I think you have been talking with my wife. At least ya'll have the same tools. Don't forget back packs too! wonderful! Totally loved your blog and the jewelry pix in it.. This is a stunning silver gift. My wife bought me a great silver gift for Christmas, I think sterling silver gifts are stunning and romantic, especially when bought with thought. Thanks for stopping by and commenting Grayquill. Yes, unfortunately, us beaders/artisans can easily spend hours in a bead store. Just as my husband! 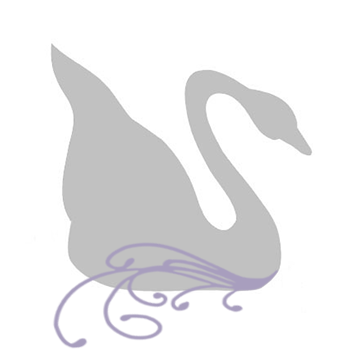 Alex & Lavanya: Thanks for stopping by and for your lovely comments. I'm flattered you love my jewelry pics, Lavanya! Pearl, that's a great idea! Thanks for the suggestion.